As each New Year begins, great horned owls in particular become more active as they claim their territories, engage in courtship, and begin the nesting season. Many of these birds are our close neighbors, living in residential areas. They easily get entangled and trapped in holiday lights still decorating outdoor trees and shrubs, as did the patient featured here. 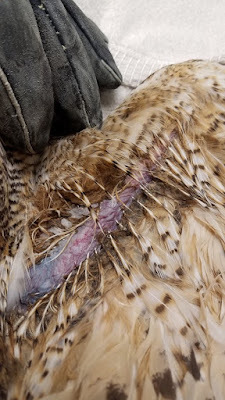 In an attempt to free themselves, these owls often sustain injuries and/or break the tools they need to fly: their feathers. One action we can all take to help prevent these situations and to continue to spread holiday cheer is to remove festive light decorations right after the holiday season is over. 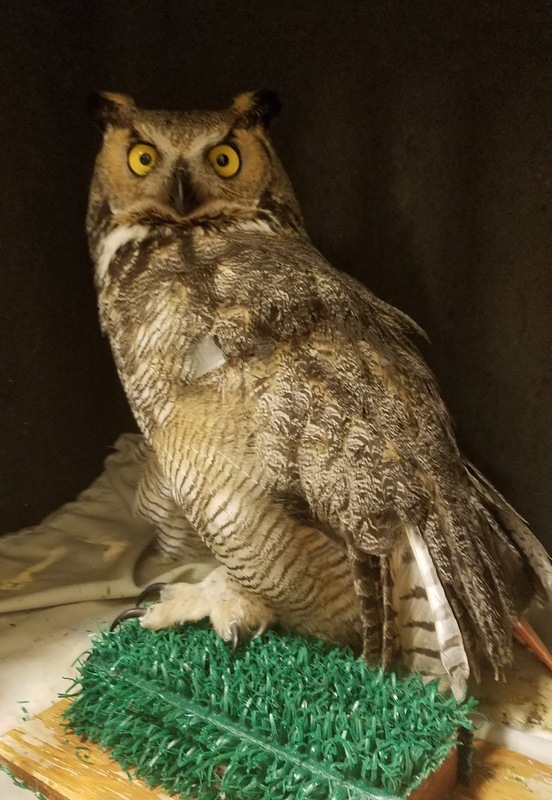 This one act can potentially save an owl’s life. Please spread the word with your family and friends. A little preventative action on your part can help our owl neighbors stay healthy especially during their reproductive season. Here is a page of how to help an injured raptor. As always, we could not do this work without your support. Thank you for caring about raptors.